1. Remembering the legacy of Billy Graham. 2. The faith of the super bowl champions. 3. A detailed Barcelona travel guide. 4. Here’s what it means if your plane is labeled for ETOPS. 5. The 5 best podcast apps for apple and android. 6. How to prepare your community for a disaster. 7. Jimmy Buffet does not live the Jimmy Buffet lifestyle. 8. How sponsored content is changing social media. 9. This story of the worst roommate ever has gone viral and the Internet’s terrified. 10. How to stop rushing into love. 11. These pineapple ginger wellness shots taste good and are good for you. 12. Black Panther director Ryan Coogler penned an emotional letter thanking fans for coming out to watch and support the new Marvel movie, which has shattered multiple box office records. 13. The science of dealing with toxic people. 14. Are Household cleaning products causing lung cancer? 15. When it’s your first wedding, but your partner’s second. 16. An extensive guide to LA’s Koreatown. 17. An NBC Bay Area Investigation reveals a dangerous concoction of drug needles, garbage, and feces lining the streets of downtown San Francisco. The Investigative Unit surveyed more than 150 blocks, including some of the city’s top tourist destinations, and discovered conditions that are now being compared to some of the worst slums in the world. 18. Ranchers set to fight back against vegetarian fake meat. I don’t buy these brands. The fake meat tastes awful. 19. Should there be armed security guards and teachers at every school? 20. Tim Tebow’s Night to Shine prom inspire special-needs people and their families. 21. This is the most popular cake recipe on Pinterest. 22. Check out Jennifer Anniston’s home in Los Angeles home. 23. The care and keeping of bacon grease. 24. The history of queso dip and how Chipotle got it wrong. What to Eat, Read, Watch, and Listen To: Charleston Favorites, Dating Book, Food Allergy Cookbook + Movies, Music, and More! Good Reads: Banana Buckwheat Bread + Inside Social Media’s Fake Followers + What You Need to Know About DNA Testing + How to Clean an Oven Naturally + Kate Middleton’s Hair Products + Black Bean Soup + More! Take a peek inside my makeup bag and find out some of my favorite beauty products. I also share some of my secrets for working out in hotel rooms and making my own DIY beauty products. Some of my favorite articles and recipes from the web. Hope you enjoy this edition of link love. Have a fabulous weekend! 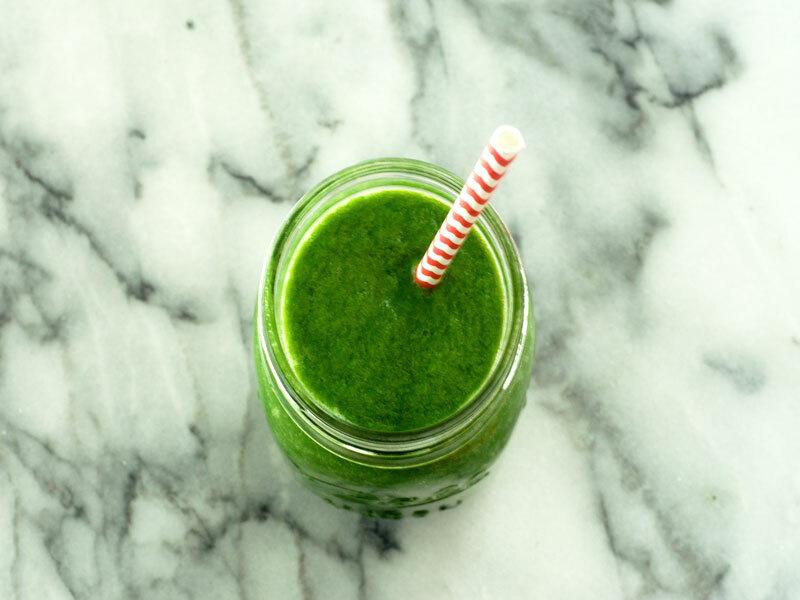 A green smoothie will help you feel and look better over time. My favorite nutritionist is Kimberly Synder. Her best-selling books are The Beauty Detox Solution and The Beauty Detox Foods. Kimberly shares a wealth of information on her blog www.KimberlySnyder.net. She also operates an organic smoothie & juice bar, GLOW BIO in Los Angeles, California. Kimberly Snyder is the real deal when it comes to nutrition.